Thursday, March 16 at the Willamette University School of Law. Washington, Colorado and Utah in serious discussions about repeal. Be a community leader, speak up, push back, offer reasonable alternatives. About 24.4% of U.S. Legislators are women. The mind-numbing isolation death row inmates must endure is wrong. Remembering Judith Havas, a long-time member of the OADP Advisory Council. 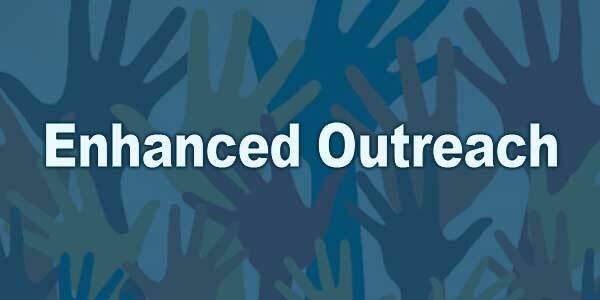 Two new volunteer members join the OADP Outreach team. 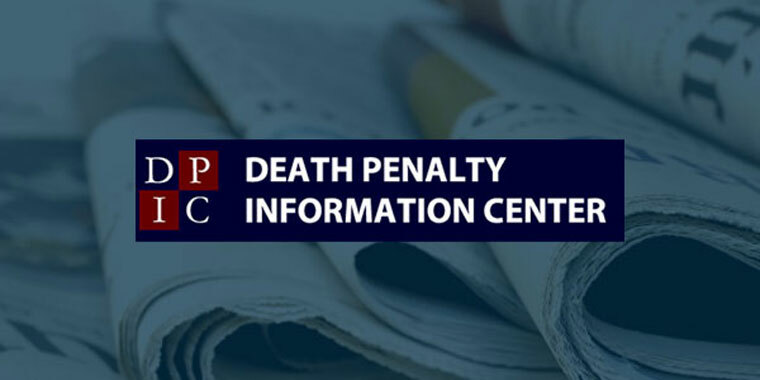 Current news from the Death Penalty Information Center. It would be hard to imagine having a discussion with a colleague about how you plan to kill someone. 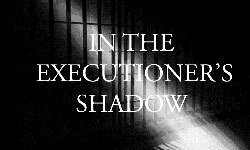 As unreasonable as that may seem, those kinds of extremely difficult discussions took place among respected and trusted state officials in 1996 and 1997 in anticipation of the executions of Douglas Franklin Wright and Harry Charles Moore. On Thursday, March 16, former governor John Kitzhaber; Dave Cook, former director of the Oregon Department of Corrections; and Frank Thompson, former superintendent of the Oregon State Penitentiary, will sit down to provide the inside story on those fateful talks. 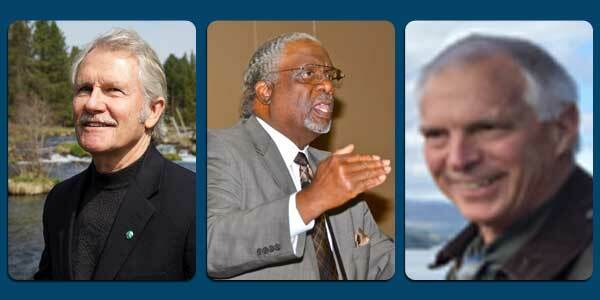 The public event will take place at the Willamette University School of Law beginning at 7:15 p.m. Admission is free, but tickets will be required. These are not easy or pleasant things to talk about, but they are necessary to illustrate the impact of having a death penalty in Oregon. While some supporters of capital punishment say it is the responsibility of the state, one must remember that we are the state. When we have a death penalty in Oregon, employees of the state become intimately involved in any execution. "This discussion will provide a first-hand sense of what it is like to devise a premeditated plan to carrying out the will of the people," states Mr. Thompson. "These were extremely trying and life-changing experiences." Both Mr. Moore and Mr. Wright were convicted of aggravated murder. They'd given up their rights of appeal and literally volunteered to be executed. There are alternatives to the death penalty that provide protection of the public and punishment for the offenders that do not include another act of violence at the hands of the state. Oregonians for Alternatives to the Death Penalty promotes this vigorous discussion of this issue to help educate both the voting public and the members of the legislature that there are much better ways to seek justice. To secure a ticket for this event, call 503-990-7060. Seating is limited and will be provided on a first come, first serve basis. A "free will" offering to support the work of OADP will take place following the event. 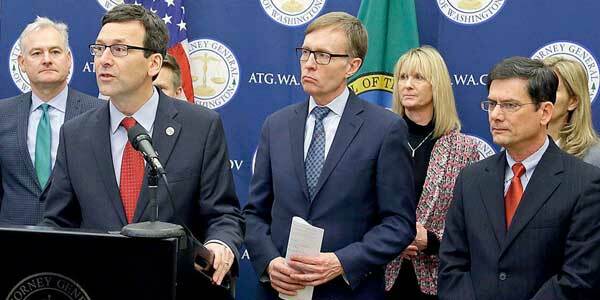 On Monday, January 16, the state of Washington's Attorney General Bob Ferguson stood on the Capitol steps in Olympia and called for the repeal of the state's death penalty. Beside him stood former Washington Republican A.G. Rob McKenna. They both were asking the members of the legislature to turn the moratorium declared by Governor Jay Inslee into a permanent stoppage of the death penalty. Governor Inslee is quoted as saying, "The death penalty is inequitable, inhumane, massively expensive, and does not enhance public safety." About the same time in Colorado, another state that has a moratorium, Senate Bill 95 was introduced. Its sponsor Senate Minority Leader Lucia Guzman, proclaimed the death penalty as "a failed public policy." Frank Thompson, former superintendent of the Oregon State Penitentiary and OADP board member, went to Denver to testify in favor of the Colorado repeal legislation on February 15. Another western state to push for death penalty repeal soon will be "conservative" Utah. In a January poll of 784 likely voters, respondents preferred life-sentence alternatives over capital punishment by a margin of 35 percent. Forty-seven percent preferred life without parole, plus restitution; 9 percent preferred life without parole and 8 percent chose life with the possibility of parole after 40 years. Only 29 percent preferred the death penalty. Kevin Greene, with Utah's Conservatives Concerned About the Death Penalty, is quoted as saying, "The death penalty is losing favor in our state because it wastes tax dollars, is ineffective in stopping violent crime, and risks possibly killing an innocent person, and more of those things align with our conservative principles." If a line was drawn along the eastern borders of Montana, Wyoming, Colorado and New Mexico, the states west of that line primarily have a death penalty, yet rarely use it. 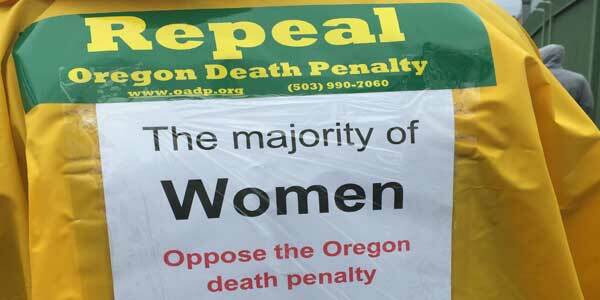 Oregon is a prime example—it has not an execution since 1997 and only two executions in the last 53 years. Joining Oregon as "seldom users," California, Nevada, New Mexico, Nevada, Wyoming, Colorado and Montana have not had an execution in 10 or more years. The "Wild West" may be more sensible when it comes to states killing citizens. Generally, the entire country has greatly reduced the numbers of both death sentences and executions. In 2016 there were only 20 executions, the lowest number in 25 years, down from 99 in 1999. Death sentences also fell once again, continuing the recent trend, to only 30, the lowest number since 1972. The majority of states still sentencing many, and executing some, are all in the south. Add the fact that no less than seven states are considering legislation to exempt individuals with severe mental illness from facing a death sentence. Idaho, Indiana, North Carolina, Ohio, South Dakota, Tennessee and Virginia are included and six of the seven are sponsored by Republican legislators. This prohibition protecting some of our most vulnerable citizens is another sign of changing attitudes about the death penalty. Most of the other western states are not using the death penalty much at all. Of the western states outlined by that Montana to New Mexico boundary, eight of 11 have not had an execution, in spite of the fact that 10 of 11 still have a death penalty. With Washington, Colorado and Utah in serious discussions about repeal, can Oregon be far behind? Considering that the Oregon budget is $1.8 billion upside down, saving money by not having a death penalty is another reason to join Washington, Colorado and Utah pressing for repeal. The January 21, 2017, women's marches in Portland, Salem, Eugene, Corvallis, McMinnville, Washington, D.C., and in communities large and small throughout Oregon were not protests; rather, they were celebrations. The record crowds in communities, no matter the size, were impressive. Men and children joined women to fill the streets and parks like never before. The creativity of the signs, banners, hats and outfits were eye-catching and diverse in message. 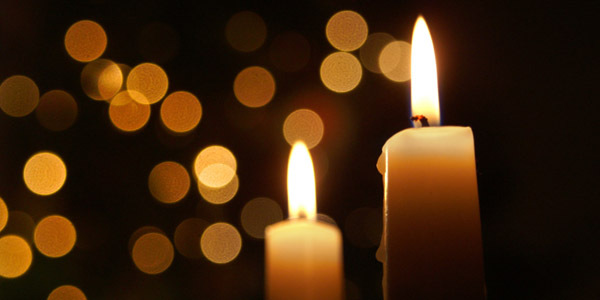 This date may go down as the start of a steady drumbeat of celebrations, marches, protests and town-hall meetings allowing for free expression and people taking the time to let their voices be heard. Two weeks after the January 21 events, marches and rallies started popping up like springtime flowers. 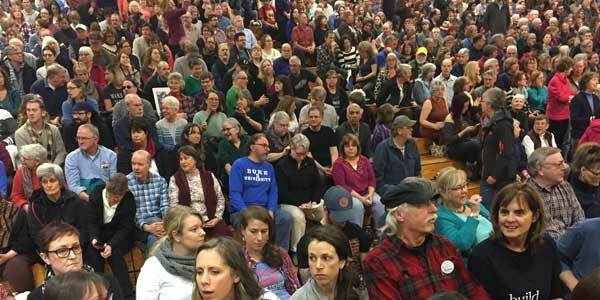 Senator Ron Wyden held town halls in Albany, Tillamook and Newport. The gymnasium at the Linn-Benton Community College in Albany started to fill up as early as an hour before the 11 a.m. start. When the senator entered the packed arena to cheers and applause, he looked shocked, while smiling with appreciation. The crowd was estimated to be in excess of 1,400 by Albany police. Portland's 70,000+ was impressive, and 1,400 in Albany equally impressive. The senator fielded a wide range of questions, many times finishing with the mantra "speak up... push back... and offer reasonable alternatives." With each incantation the audience roared with supportive applause. One of the many questions was posed by an 11-year-old girl who asked how to prepare for being involved as a leader. Her question may have gotten one of the biggest ovations. The senator gave her his full attention and respect, encouraging her as a female to learn as much as she can about as many subjects as possible, particularly foreign languages, and when she is in high school to call on him for a summer internship in his Washington office. That same encouraging message to women to lead was also used on the steps of the Oregon State Capitol at another rally when Professor W. Warren Binford, Willamette University College of Law, called for women to run for office. One of the strongest ways women of all ages can speak up, push back, and offer reasonable alternatives is to get involved in rallies not only as participants, but also as organizers. A second way is to take on a leadership role (OADP encourages you to take this to heart) is for women to run for an office... any office... with your neighborhood PTA, your local library board, or a church committee. Use your talents to make your place and the whole state a better place. Oregon already has a head start, and we should be proud that our Oregon state legislature has one of the highest percentages of women serving as senators and representatives in the entire nation. According to the National Conference of State Legislatures, 24.4 percent of the 1,805 state legislators are women. In the current 2017-18 Oregon legislature 24.4 percent are women. Town hall rally meeting in Albany. OADP is using Wyden's mantra "speak up, push back and offer good alternatives" to encourage people of both genders and all ages to advocate for the abolition of the death penalty. There are alternatives to the death penalty that offer better solutions for criminal justice and for reducing crime in our state. Pew Research polling in 2016 pointed out that the majority of women polled oppose the death penalty, and women are 18.4 percent more likely than men to support repeal. So, women, take the lead in your community to speak up and push back against the death penalty. Offer the more than reasonable alternative of life without parole for aggravated murder. OADP needs all voters, regardless of gender, to join with us and pursue the better alternatives that are readily available. Please contact OADP to learn about ways that you can take leadership roles in your community and around the state. According to the National Conference of State Legislatures 24.4% of the 1,805 members are women. Inclement weather left me stranded inside my house for four days in January. Even neighbors with four-wheel drives couldn't leave their driveways. Buses weren't running. We were trapped. At first this was a reprieve, but by the third day, I was resentful that I was grounded. The internet, television, and phone did nothing to improve my mood. I could go outside, but the wind was biting, the snow difficult to walk on. My mood darkened. As I wrote to my correspondent at the Oregon State Penitentiary, I was struck by the fact that what I was experiencing was amplified a hundred-thousand times over by those living on death row. I had shelves full of books, a computer, Netflix, a phone I could use as often as I wanted to. Neighbors could stop by. I could walk my dog. Yet none of these eased my cabin fever. When the weather cleared I found many others had experienced the same sense of isolation. Traits we shared included a loss of productivity, irritability, a sense of hopelessness, and anger at things beyond our control. Several people had blowups with family members. One woman confessed she didn't get out of her pajamas or bathe the last two days. Another person went on a cleaning binge, and reading old journals made her break down and cry, feeling her life had no point to it. All of these people are in sound mental health but being trapped in their homes and unable to change a situation beyond their control shifted something inside them. In the words of a co-worker, being cooped up like that was "something I wouldn't wish on my worst enemy." Yet year after year we confine people in far worse conditions. Oregon's death row inmates are segregated from the general prison population, confined to cells smaller than most of our bathrooms. They leave these cells twice a day, both times for less than an hour. They are restrained when they are allowed to leave their cells. They eat alone, their food slid through an opening in a metal door. The lucky ones have a job that provides another half-hour or so out of the cell. If they have a TV, stations are limited. Internet is unheard of. They've read their few books multiple times. If they have a deck of cards, they can play solitaire. Red on black, red on black, red on black, over and over and over. Imagine living like that. Totally isolated from the outside world. Trapped in a room with no escape. Shackled when you're let out. Visiting limited to a couple of hour-long visits a week, no physical contact allowed. When we think of abolishing the death penalty, we usually think in terms of the morality of ending a life. But it is also wrong to destroy a person by the mind-numbing isolation death row inmates must endure. This, too, is reason to end the death penalty. The lack of physical and mental stimulation is cruel, and the psychological effects of this level of confinement are akin to torture. While life in the general population is far from freedom, there is social interaction. There are jobs and opportunities for education. Inmates can briefly hug their visitors. They eat meals with others. There are even holiday celebrations. 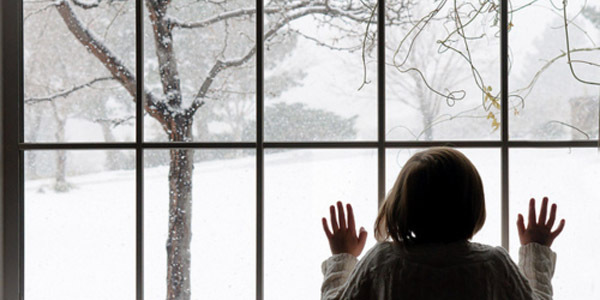 The next time that weather, illness, or injury limits your ability to leave your home, consider what it would be like to experience that for years at a time while you awaited appeals, knowing that in the end you are going to be executed. Then ask yourself what more you can do to abolish the death penalty, which will not only prevent an execution, but will also stop the isolation and the accompanying psychological and physical torments forced on those on death row. Nancy Hill is a journalist deeply concerned about issues of justice. She is on OADP's Advisory Council, and corresponds with a man incarcerated in Oregon State Penitentiary (O.S.P.) who was on death row for years. He is now serving life without possibility of parole, and is working with Nancy to document the difference between death row and the general population. If newsletter readers would like to correspond with someone on death row, please consider joining OADP's correspondence team. Some death row inmates do not have any contact with the outside world. Help ease their isolation by writing to them. For more information, call 503-990-7060 or email dpabolition@comcast.net or lynnross@aol.com. Judith Havas, a long-time member of the OADP Advisory Council, passed away on February 15. Judith was the administrator at Salem's Temple Beth Sholom. She was a passionate abolitionist who fought a gallant fight with cancer. She will be missed in Salem and as a member of our organization fighting to end the death penalty in Oregon. The road to success in our mission to repeal the Oregon death penalty relies to a great degree on our ability to communicate effectively through every channel available. News releases, events, letters to editors, discussion groups and social media are all being used. Realizing that we need to do more on all fronts, board member and communications committee chair Terrie Rodello has recently identified two outstanding professional communicators who have joined her committee. Claire Willett, freelance writer and regionally respected specialist in fund-raising and marketing, will bring her talents and passion for social justice to assist in our communications efforts. For the past 10 years Claire has worked with dozens of Portland organizations as a blogger, grant manager, social media content coordinator and staff writer. Kyle Rush has bachelor's degrees in communications studies and in public policy/ administration from Western Oregon University. He is completing a master's degree in communications studies from Portland State University. Kyle has outstanding experience with The Bus Project, Portland's Center for the Arts, Springfield, OR Ballot Path, the Outside In learning lab and the Social Justice Fund Northwest. His skills in communication and social media will greatly enhance our efforts. Claire and Kyle will join with long-time Facebook social media coordinator Greg Zurbrugg, writer/photographer Nancy Hill, board member Jan Slick, all under the leadership of Terrie Rodello, to take OADP to new heights in outreach, visibility and impact through better use of all communications channels. All volunteers, we are very grateful for the committee member's commitment to hard work and their expertise. When asked about the new team members, Terrie said, "We are so lucky to have such skilled and committed individuals join our team. Both responded to our ad for volunteers to help with Facebook and social media. They were looking for an opportunity to volunteer their time and skills for an issue they care deeply about. OADP needs their skills and commitment. And more volunteers are needed. If others have experience with MS Office, database maintenance, outreach and event planning, OADP needs those skills to build the movement the repeal of the death penalty in Oregon." Interested in volunteering? Contact Terrie Rodello at tarodello@igc.org. Saying that, "Scientific research and evolving jurisprudence has made the harms of solitary confinement clear," the unanimous three-judge panel ruled that prisoners whose death sentences have been overturned have a constitutionally protected interest against being held in solitary confinement, unless the state could show, after an individualized assessment, that such custody was necessary for security and safety reasons. "Prosecutors aren't just seeking fewer death sentences; they're openly turning against the practice, even in places where it has traditionally been favored," the editorial states, citing the historically low number of death sentences in 2016. Emphasizing the influence of these state and local officials, it calls the role of prosecutor, "one of the most powerful yet least understood jobs in the justice system." Their role is especially critical as national leaders present a "distorted ... reality of crime in America" in support of a "law and order" agenda, the Times says. "In these circumstances, the best chance for continued reform lies with state and local prosecutors who are open to rethinking how they do their enormously influential jobs." Bills to exempt individuals with severe mental illness from facing the death penalty are such legislation or announced that they plan to. Six of the seven states have sponsorship from Republican legislators, indicating expected in at least seven states in 2017. Legislators in Idaho, Indiana, North Carolina, Ohio, South Dakota, Tennessee, and Virginia have either introduce bipartisan support for the measures. In December 2016, the American Bar Association held a national summit and issued a white paper in support of a severe mental illness exemption. Several religious leaders also have spoken out in favor of the exemption.